Medical evacuation for expatriate career medical insurance plans are provided as a benefit on all of our international long term overseas plans here at Good Neighbor Insurance. Most medical evacuation plans have limits up to USD250,000. Most will be at USD500,000. 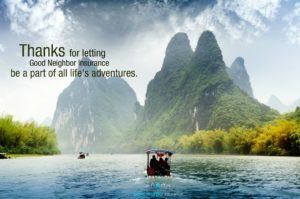 One of our favorite long term career insurance plans for expats is the GMMI plan which you may view here at https://www.gninsurance.com/gmmi-career-long-term-insurance-plans/. Below is more information on the wordings of the medical evacuation benefits on the GMMI plan options. To learn more about the evacuation benefits on the GMMI plan please call one of our international insurance specialists here at our toll free number, 866-636-9100. You may also reach us here Phoenix Metro, Arizona office at 480-633-9500. Or email us here at info@gninsurance.com.